Read some of the Softness Training Success Stories here! I was given the chance to be one of the course testers for Softness Training, along with my horse, Napoleon. He is a difficult horse, lacks confidence, shuts down and can be very nervous in certain situations. Working through Module 1 has helped us develop confidence in each other and also form a true partnership. I had not ridden him for a year and have owned him for 2 years. It did feel as though we were going backwards. I would recommend this program to everyone whether they are experienced or novice horse owners. I have owned horses since I was 11, have worked with them professionally and have gained so much personally from Softness Training." I can not thank you enough Monica. I never thought I could have such a happy boy under saddle. My horse has so many issues I'm not sure where to start! He's not really suited to this course as we are unravelling so many worries just by listening to him. However I've watched all your videos and used this for my rescue ponies at work. A lot of them have no problems with humans apart from no interaction with us so they have no idea what we are going to ask. I've learnt to keep my energy low and positioning myself in a less threatening way (even if I didn't mean to before) I've learnt to check in with them before I put a brush on them, not tie them up until they are with me and to listen. My boy is going to take a while to trust me and I to trust him but this course made me commit to him and to take him on warts and all. You couldn't put a price on what I've learnt in the last few months. Monica hat mit ihren immensem Wissen, einer hervorragenden Mischung aus Feingefühl und viel Humor einen Lehrgang geschaffen, der eine Beziehung zwischen Mensch und Pferd erlaubt, die ich vorher nicht für möglich gehalten hätte. Dieser Lehrgang hat mein gesamtes Denken erweitert, mich gelehrt Loszulassen und wenn ich von meinem Pferd nicht die gewünschte Antwort bekomme, meine Frage umzuformulieren. Ich habe gelernt wie mein Pferd weich und nachgiebig wird und wir uns gegenseitig Vertrauen schenken. Diesem Kurs empfehle ich jedem, der seine Mensch-Pferd-Beziehung auf die nächste Stufe bringen möchte. Vielen Dank Monica, für diesen fantastischen Lehrgang! I had great help from Monica Andréewitch. 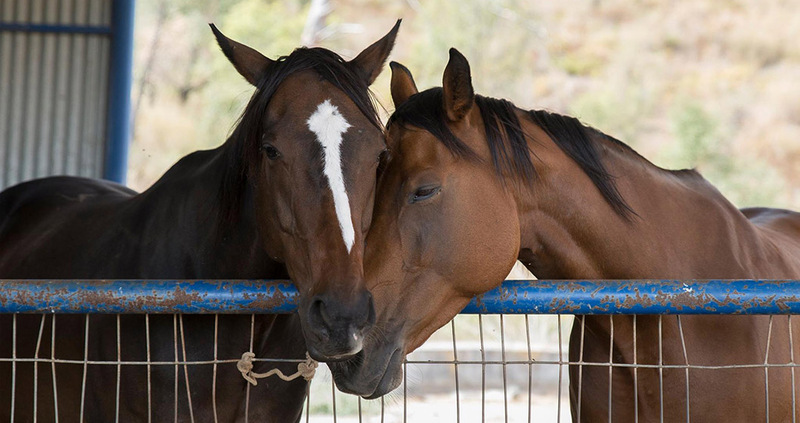 I rescued 2 lovely horses just over a year ago and they both had negative baggage. With the soft approach and patience I learned from Monica we both improved and deepened our relationship. I learned to listen better and have more consideration. This made me feel much closer to them. I am really happy for all the help, thanx Monica. I met Monica two months ago on her ranch in Spain and she told me about her Softness Training Programme. I already have quite some experience with Horsemanship, but I am always looking for ways to improve myself and my relationship with the horses I work with. The word 'softness' immediately got my attention and I decided to give it a go! I have changed things like the way I approach my horse in the field and I love it. I start my sessions with more softness and connection now and I can not wait for the next Modules to be launched! I am sure they are going to help me a lot with getting my horse both physically and emotionally fit! Hace más o menos un año conocí a Mónica en Rancho Acebuchal. Poco a poco me a ido introduciendo en el Softness Training y tengo que decir que es impresionante. Me a hecho abrir mi mente y ayudarme a leer y entender el lenguaje del caballo. Recompensar mi caballo por un intento, saber soltar y darnos confianza mutua. Hacer las cosas con paciencia sin ningunas expectativas. Son muchas emociones maravillosas que se viven en este curso y le recomiendo a todo el mundo que los experimenten. Es simplemente increíble. Amongst many things, Monica has taught me something that I feel is so important. We all now live in a fast moving world, where there is no time for anything. When working with my horses, she has taught me to 'take a step back' and slow down - this is invaluable advice and one for which I will always be in Monica's debt. Thank You.."
I have thoroughly enjoyed having the opportunity to participate in Monica's Softness Training for Horses as a course tester. It has certainly taught me to slow down and listen to my horse and take the time to connect rather than rush in and assume she was happy to do what I expected or asked. My connection with Xena has grown much stronger as I now take the time to connect and read her body language from the moment I walk towards her. Thank you Monica for this wonderful opportunity to teach me what I think is the most valuable thing we can learn in our horsemanship journey. I had known Tiger Lily for a couple of years before she became mine. She was at a Natural Horse Yard and was treated with respect, but due to the fact she was used as a training horse she experienced many handlers. I therefore decided that we need to bond and have a good partnership. I wanted to improve my communication skills and I wanted TL to want to be with me. I then applied to go on the 'Softness Training for horses' course. I was not new to some of the methods used, but what I found beneficial to me was the personal feed back from Monica Andréewitch both verbally and visually to the videos that were required to be submitted. I was blown away to discover how many subtle communications from TL I was missing. I was at times unaware of what she was trying to tell me. I believe that after completing the course my relationship with TL has greatly improved . I listen to her, watch her body language and I have adapted mine. I can be effective through softness. If you are like me and want to have a better relationship with your horse then this course is for you. You get to meet some wonderful horse people and share with their experiences. Monica is an amazing horsewoman and a gifted instructor. I love attending her workshops – she always makes the learning fun and has a way of explaining things that makes new concepts so much easier to understand. Sorry it has taken me so long to write but I have been struggling to find the right words to describe the change in myself and the horses I work with. Instead I am just going to say THANK YOU for allowing me to be apart of module one. I have seen a huge change in myself over the last month's and even had a compliment from a friend on how I have softened myself. I am teaching differently too, I am reading the horse more and seeing when they want to be with us and when they are saying 'no, not today'. With this beautiful approach, I am witnessing a change in the horse within 5 mins of being with them. Thank you so very much for filling a gap I knew I had but didn't know where to go next. I am very much looking forward to Module two becoming available, as I will be signing up to expand myself and my horses more. Thank you again for sharing your knowledge with us. Please share your Softness Training Success Story with us, too!